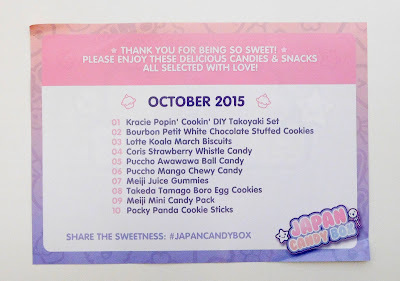 Japan Candy Box - October 2015 + Giveaway! 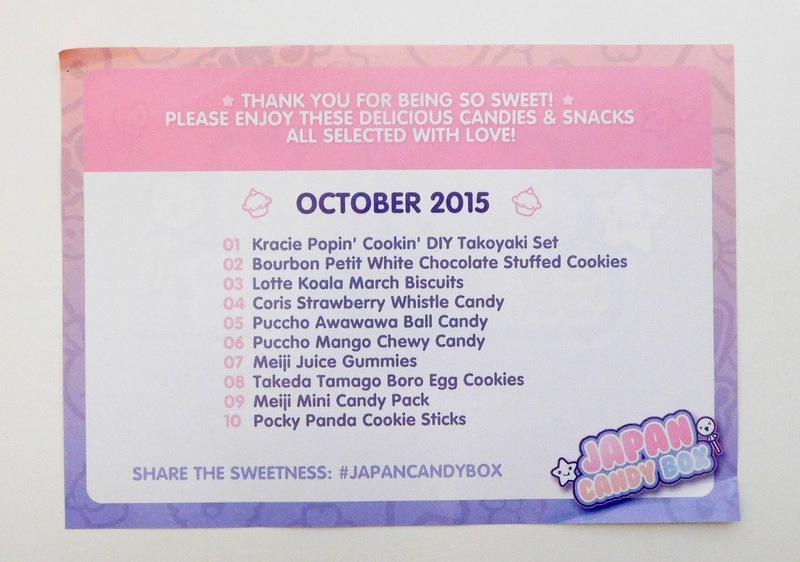 What is Japan Candy Box? 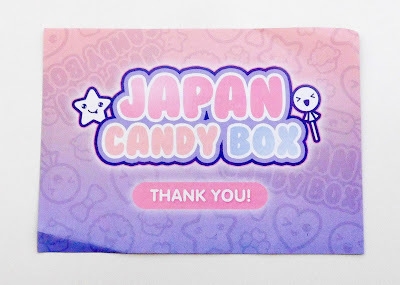 : Japan Candy Box is from the makers of Kawaii Box, which I reviewed a few months ago! 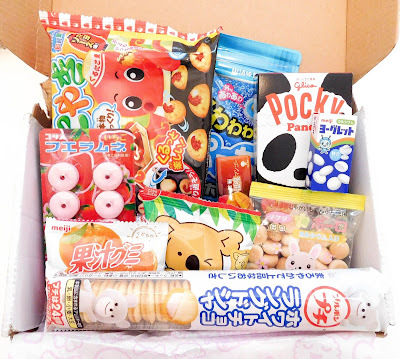 Japan Candy Box is a monthly subscription box full of Japanese candies! It includes 8-10 candies and snacks, and comes to you every month! 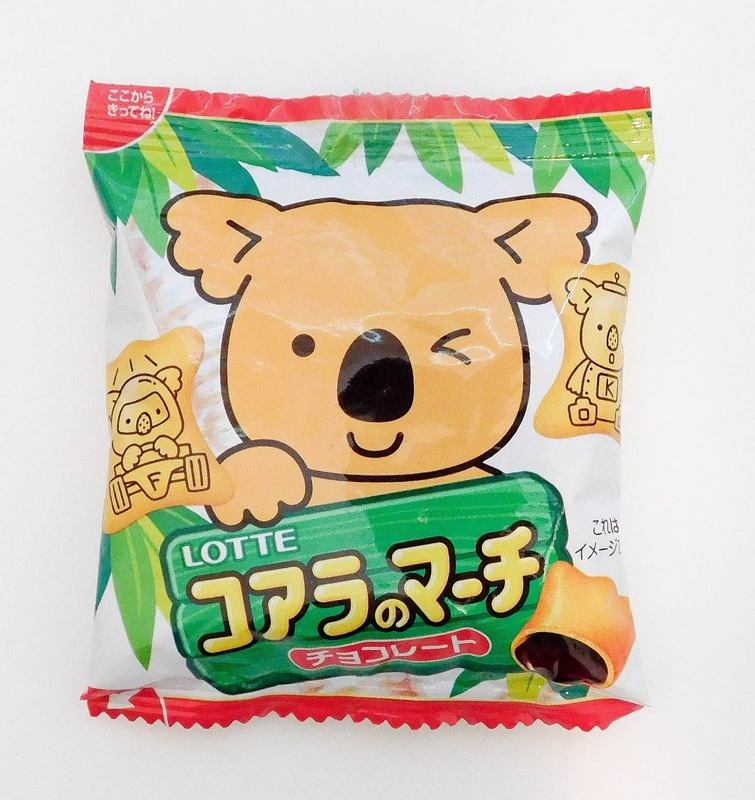 It's a great way to try out candy and snacks from another part of the world. How Much is Japan Candy Box? 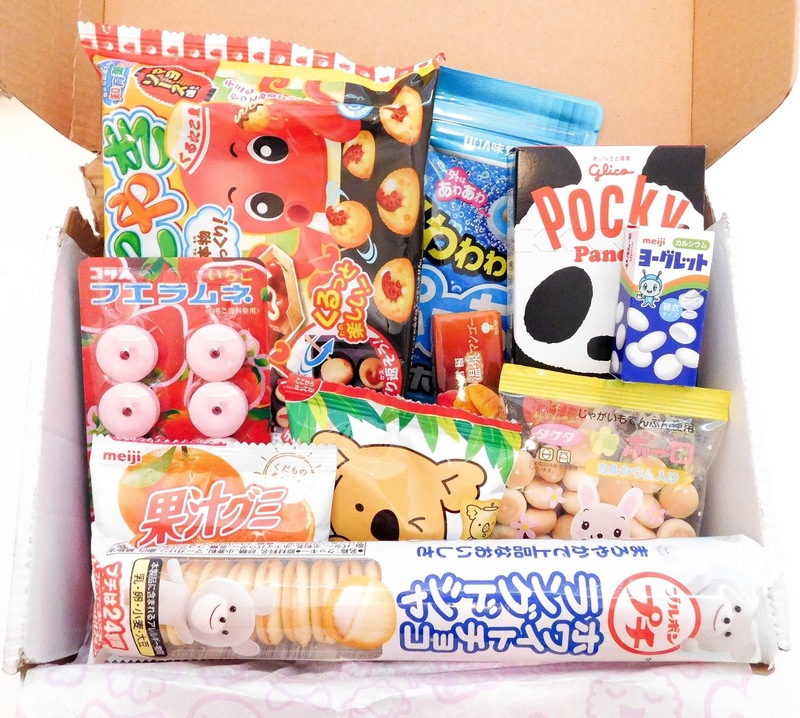 : Japan Candy Box is $19.90/month and gets cheaper with longer subscriptions. Shipping is included with any subscription term, though, so no worries about paying for international shipping! Make sure to check the bottom of this post for the giveaway information! I love all of the bright colors! 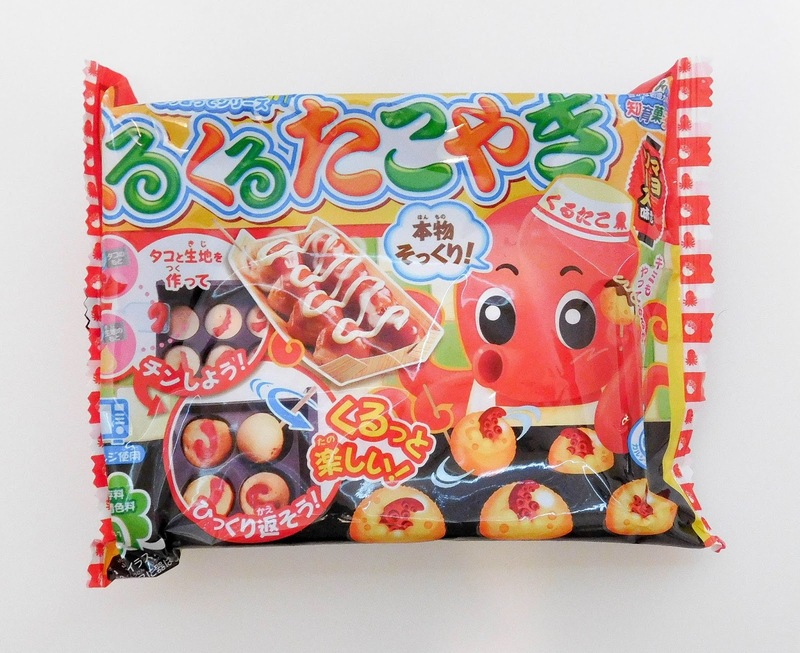 Kracie Popin' Chookin' DIY Takoyaki Set - This reminds me of the gummy hamburger kits, but you make Takoyaki instead! It's an adorable treat where you have fun making your snack and get to enjoy it as well! Instead of being a gummy candy, though, you have a mold and candy powders where you make all of your ingredients! Bourbon Petit White Chocolate Stuffed Cookies - First off, these are absolutely adorable. They're little and adorable, and full of white chocolate. There's actually enough to share, if you can wait that long. The cookies, or biscuits, are light and refreshing and the white chocolate is rich but not too heavy. Lotte Koala March Biscuits - These are super cute, they even have different koalas on the cookies! There are two flavors of this, one with chocolate on the inside and one with strawberry. Mine is chocolate, and it's super yummy! I looked it up, and it turns out there are 200 different koala characters to look out for! 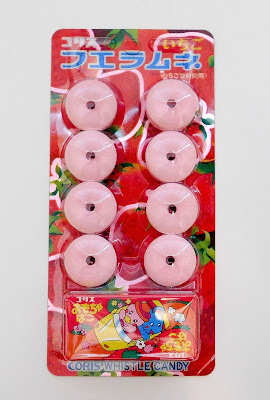 Coris Strawberry Whistle Candy - When I saw the name, I was so curious to know why it was called 'whistle candy.' It turns out, you can blow through the candy to make a whistling sound! When you get done eating your strawberry candy, or annoying your family members by whistling all day, there's a mystery toy to play with in every pack! 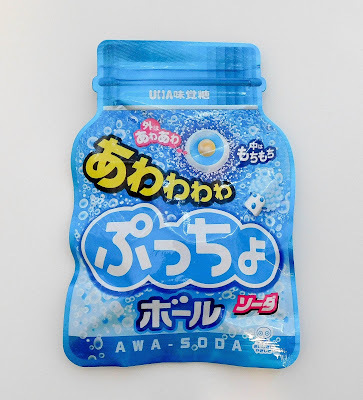 Puccho Awawawa Ball Candy (Soda) - These were given their funny name due to the noise people made when first eating them. The outside of these are fizzy, similar to super carbonated drinks. It's full of flavor, between the fizzy outside, the hard middle, and the soft middle. Definitely not a candy you will find around here! Puccho Mango Chewy Candy - I love mango flavored anything, so I was wondering what they would do with this amazing flavor. The candy itself is milky/creamy and there are bits of fruit in it as well! It's a nice chewy treat, with just enough sweetness. 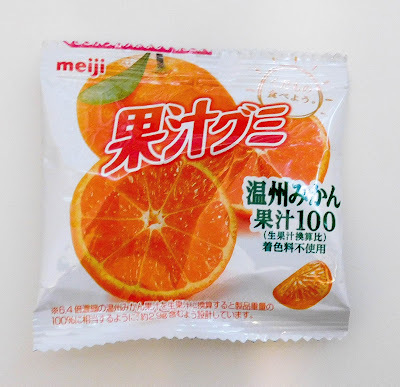 Meiji Juice Gummies (Orange) - These Meiji Gummies actually come in five flavors: grape, white grape, pineapple, orange, and apple. I'm actually really curious about all five flavors and want to order all of the flavors to see which one is the best. I love gummies, so this was a simple win! 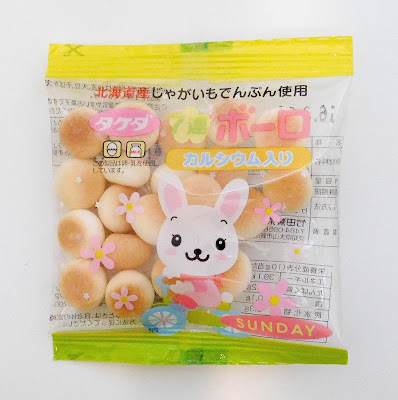 Takeda Tamago Boro Egg Cookies - These are apparently very popular with children, they are even safe for kids to eat because they melt quickly. When you buy them, they come in a seven day pack for you to get a snack each day. That explains the Sunday on this pack. A cute little snack to munch on! Meiji Mini Candy Pack - Based on first look, I thought these were mint flavored, due to the color combination. 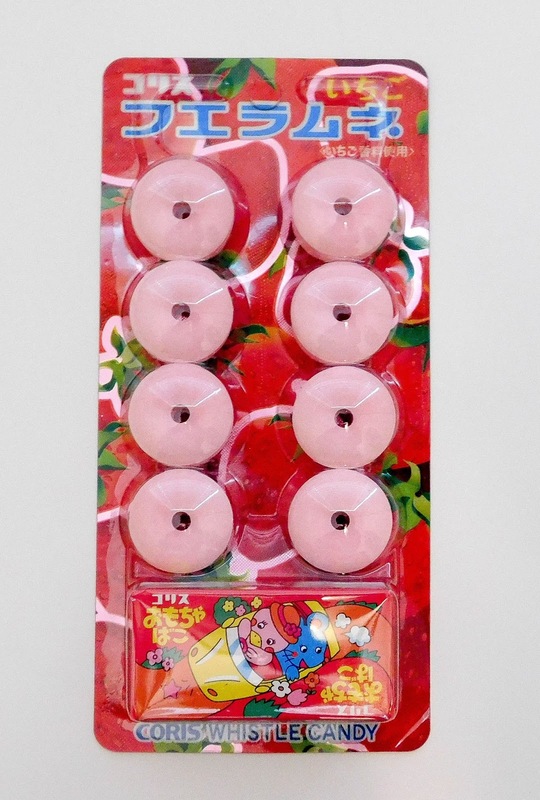 These are actually candy coated with a yogurt flavored center. I checked out the other flavors as well, and one has chocolate, which of course made me very curious! If you buy the full sampler, you get all five flavors to try out! 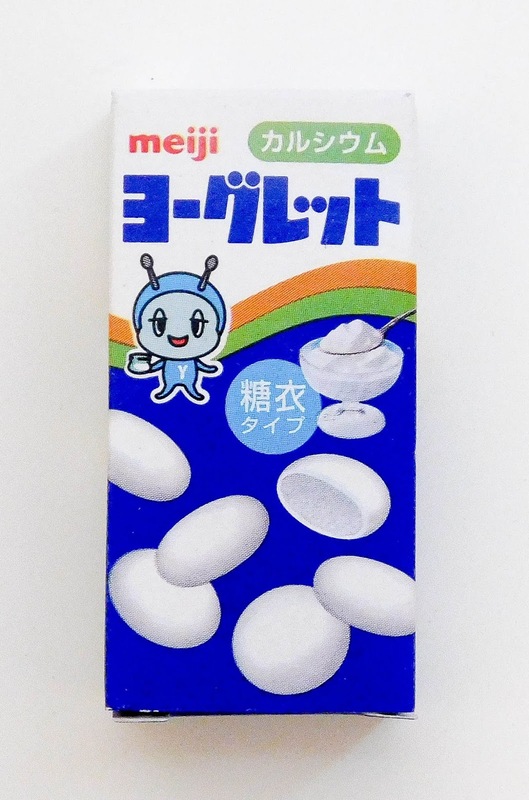 Yogurt flavored candy is a new one to me, but I really liked it! 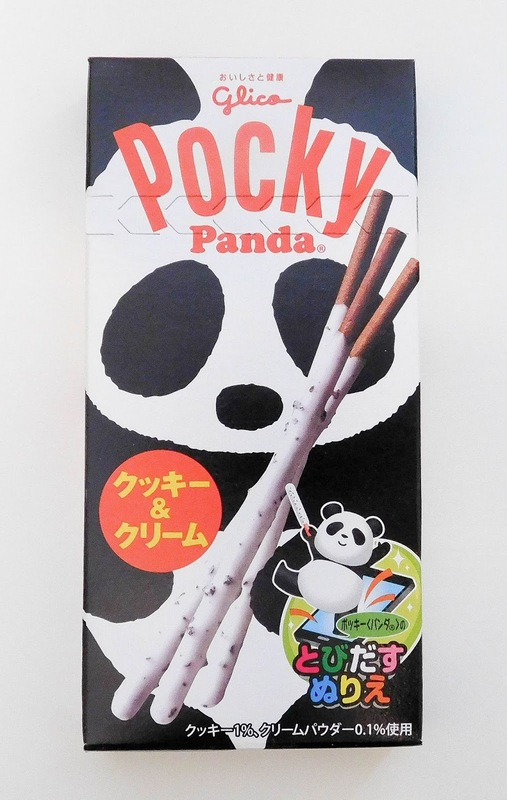 Pocky Panda Cookie Sticks - Pocky is a super popular snack. You can get it at practically any grocery store now, typically in chocolate and strawberry. This one, though, is special. I've never seen a cookies & creme one in stores, though, so this was pretty exciting! The packaging is also limited edition, and super cute. Pocky is a super yummy snack and so hard to share! Overall, this is a super fun box to try out! 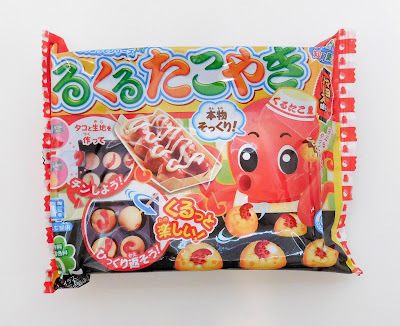 It gives you the opportunity to try out a ton of different snacks and candies to try out, and you get to see what is popular in another culture. Obviously, the Pocky was my favorite, and it was the hardest of the candies to share. If you are interested in trying out the snacks of your own, the next box closes in 20 days. If you want to get your chance to win, look below! 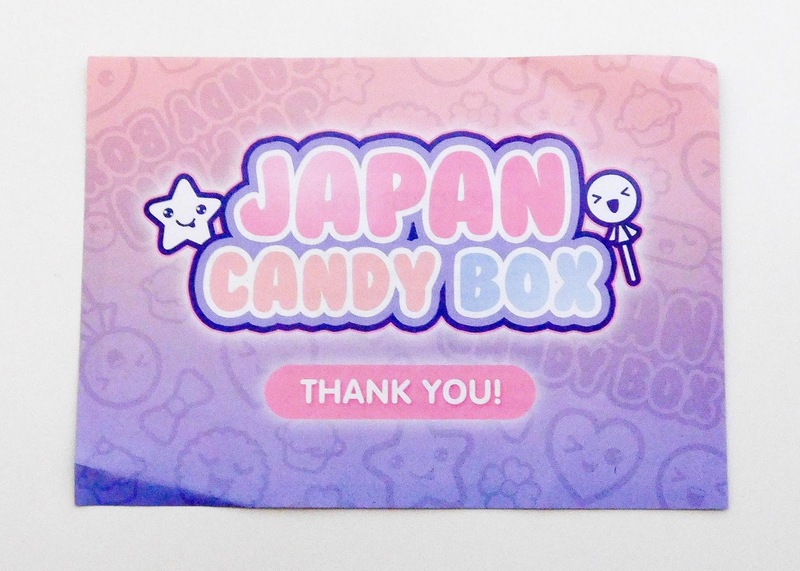 This giveaway is run by and sponsored by Japan Candy Box. Ramblings of a Subscription Addict is not affiliated with the giveaway outside of hosting it. All questions should be directed to Japan Candy Box. Ramblings of a Subscription Addict is not responsible for missing prizes, choosing the winner, or sending the prize out.